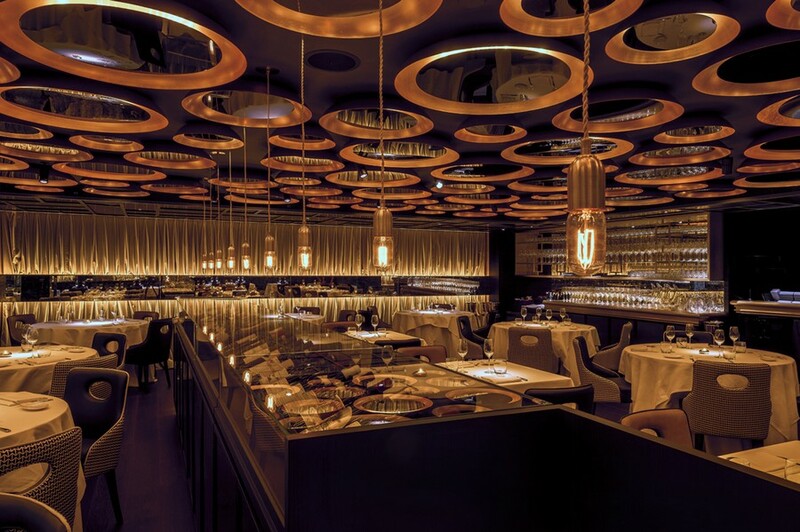 Il Milione is Michelin-starred chef – Marco Gubbiotti’s first Asian venture and when it came to designing a stunning interior and providing brand identity the client, Ricky Wan didn’t hesitate in choosing award-wining designLSM. The book provided the inspiration behind the logo, which hints at the story but is modern in execution. Abstractions on the logo appear throughout the restaurant and the pattern on the exterior door and paneling is an impression based on the route traveled by Marco Polo, as described in his stories. Located on the ground floor of Hutchinson House, Il Milione is a new hidden gem. 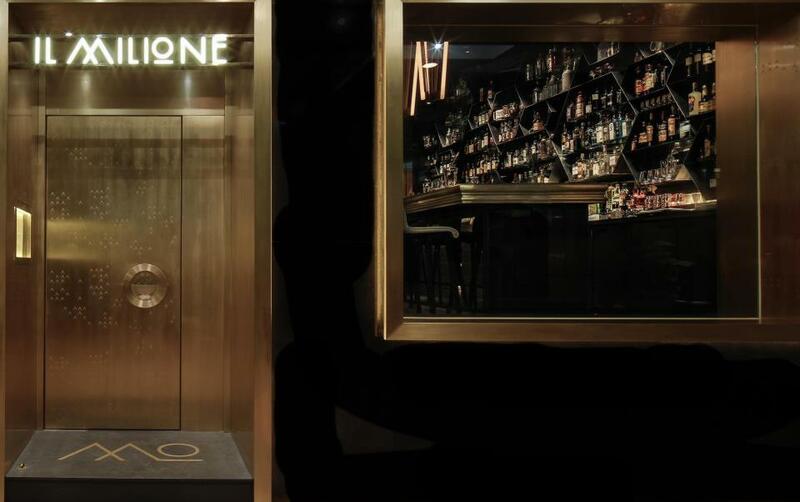 The black-and-gold front door of this Umbrian eatery leads to a classy cocktail bar showcasing an impressive collection of vintage alcohol, with a staircase which takes you to a cozy lounge area. As you walk further in, you arrive at a elegant and spacious dining room with an open kitchen. Helmed by Umbrian Chef Marco Gubbiotti, Il Milione ristorante serves authentic Italian dishes cooked with fresh, seasonal ingredients. The dishes are proclaimed to be “bursting with natural flavors without the heavy butter and cream one might associate with Italian fine dining”. The cocktail bar offers an impressive menu of vintage cocktails created by mixologist Giancarlo Mancino. Not a member? For dining club membership details click here. Next articleLifestyle ArticlesThe future of foodstagramming - is it over already?